Early and unusual shoe polish jar for Banner brand Ox-Blood Shoe Stain Polish. 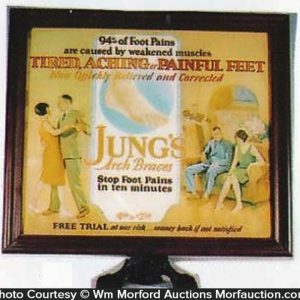 Features great image of black shoe shine boy on tin lid. 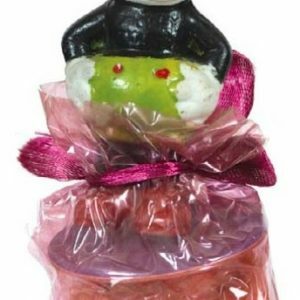 High quality glass jar has attractive ribbed sides and appears full and unopened. 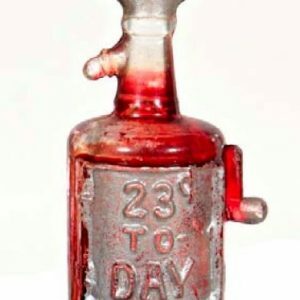 SKU: D10-88. 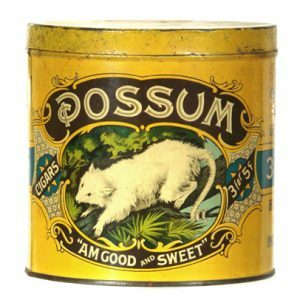 Categories: Bottles and Jars, Ceramics and Glass. 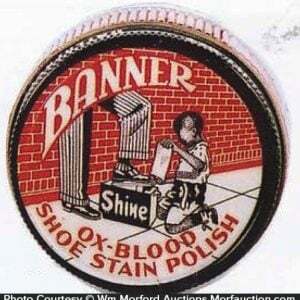 Company/Brand: Banner Ox-Blood Shoe Stain Polish. 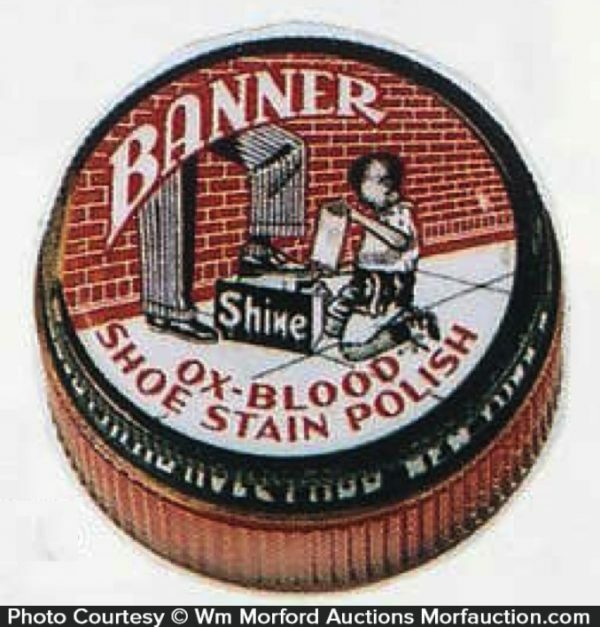 Banner Ox-Blood Shoe Polish Tin: Early and unusual shoe polish jar for Banner brand Ox-Blood Shoe Stain Polish. 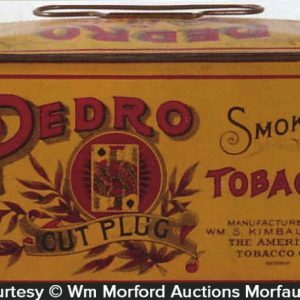 Features great image of black shoe shine boy on tin lid. 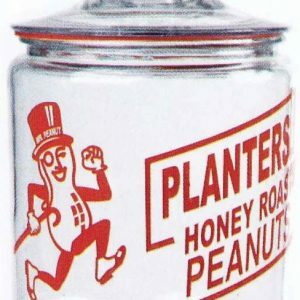 High quality glass jar has attractive ribbed sides and appears full and unopened. Lid is respectable (C. 7.5) and quite attractive, w/ some light soiling, minor edge wear and dent mark along edge at 9 o’clock (as found might improve w/ cleaning).